Programming Scala introduces an exciting new language that offers all the benefits of a modern object model, functional programming, and an advanced type system. Packed with code examples, this comprehensive book teaches you how to be productive with Scala quickly, and explains what makes this language ideal for today's highly scalable, component-based applications that support concurrency and distribution. This document outlines some basic Scala stylistic guidelines which should be followed with more or less fervency. Wherever possible, this guide attempts to detail why a particular style is encouraged and how it relates to other alternatives. Scala is an object-functional programming and scripting language for general software applications, statically typed, designed to concisely express solutions. This book is my own 're-telling' of the tour of Scala from the official Scala website. Scala is an object-oriented programming language for the Java Virtual Machine. Scala is also a functional language, and combines the best approaches to OO and functional programming. This book is the authoritative tutorial on Scala programming. Scala is a concise, elegant, type-safe programming language that integrates object-oriented and functional features. 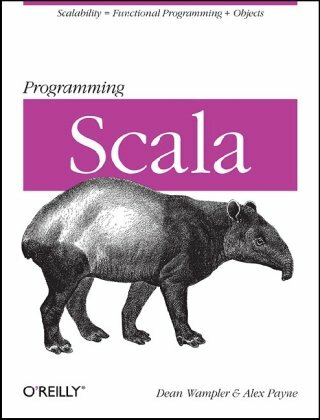 This book is an excellent step-by-step introduction to many of the Scala features with the help of simple code examples.